When I’m in a bit of a rush & I don’t always have the time to give my hair the full pamper it needs I have found myself reaching for this little gem in recent weeks. 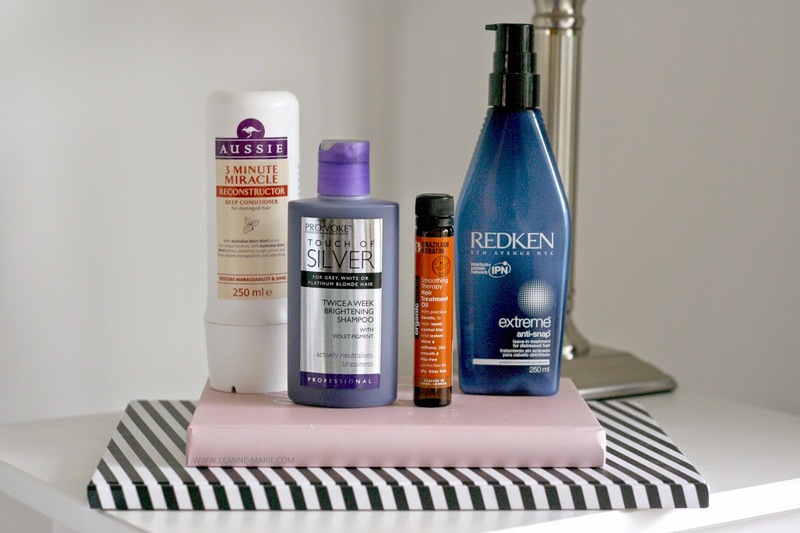 The Aussie 3 minute miracle reconstructor is an absolute bargain at only £4.99, I use it in place of a conditioner to give my hair an extra bit of conditioning between pamper sessions! I’m sure we all know how good the scent of Aussie products are, and this doesn’t disappoint. It leaves my hair feeling really nourished & soft, as well as smelling delicious! Having recently had more blonde put into my hair using this toning shampoo once a week has become a must have for me. I use this regularly to neutralise brassy tones and counteract the yellowness that may occur. Keeping the blonde looking fresh. There are other brands on the market that offer these type of shampoos. I have used the Lee Stafford one in the past. But to be honest you don’t need to spend too much, that is why this £3.19 bottle is a staple product included in a Boots splurge. If I blast my hair with a hairdryer without some form of frizz tamer applied beforehand, my hair ends up looking pretty massive. I’m currently using this Brazilian Keratin hair treatment oil by Organic world, First up a little goes a long way so it’s lasting me ages! I simply take a pea sized amount in my palm and distribute it evenly through the mid lengths and ends of my hair. I tend to favour hair oils like this over serums as I feel they work a little better. This is around the same price range as Morrocan oil, however I have noticed you can get it a little cheaper on sites such as Amazon and Ebay. Notice a theme with my current hair heros.. Conditioning! Going lighter means I am damaging my hair a little more than I would like, so I do have to take a bit more care of it! The Redken Anti Snap has been a favourite of mine for ages. Not only does it smell gorgeous, it does a great job of keeping the ends of my hair in check between cuts. If you’re someone who uses heat on their hair a lot I would highly recommend getting yourself a bottle of this stuff. It isn’t too expensive at around the £15 mark as even using it daily, it takes a while to use up all the product. A great haircare investment in my opinion. What are your haircare heros? Let me know in the comments. 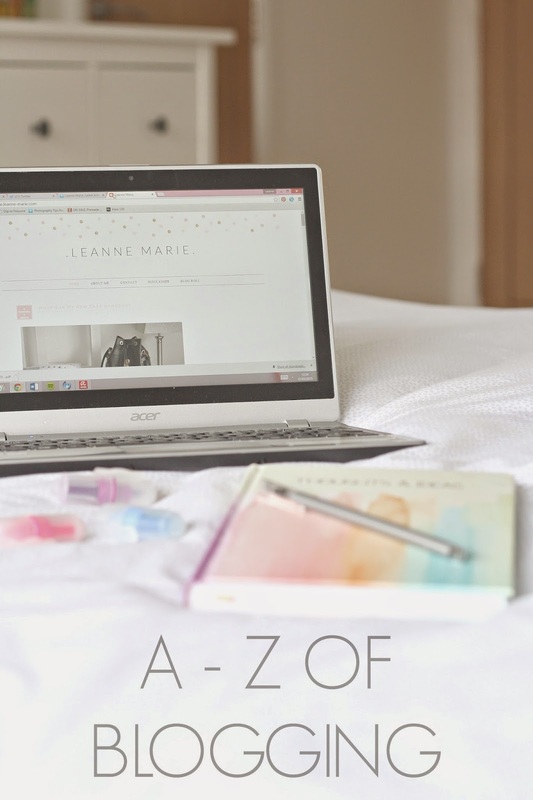 The A to Z of Blogging. I use Google Analytics to help work out what topics are popular, where my traffic comes from, Keyword searches, along with many other things. It's a free statistics tool which you can apply to your blog. Blogger stats aren't always accurate so it's good to have this in bedded in my blog in order to get correct readings of my stats. Read this handy article on how to get started. Even though for the majority of us our blogs are our hobby, it can still get pretty stressful at times. It's okay to take a break from the blogging world, maybe even social media in general. Use that time to relax & recharge. I always stand by the saying, if someone has taken the time to write a post, it's nice to pay them back with a comment. We all love to get the notifications informing us of a comment on our newest post. It's a nice feeling. Not only are comments a great way to interact with your readers, you interact with the whole blogging community. It's something I think people are getting a bit slack on recently. We need to up our commenting game! First impressions count with blogging. If you have a good design then people are more likely to stay on your blog and continue to have a browse through your posts and various pages. You can do this yourself by learning html code, pay someone else to custom design something for you (like I have done in the past with Gillian) or even look for a premade layout on sites like Etsy. A nice clear, well laid out design can really help boost your blog. The list could be endless in regards to the equipment you could use to help your blogging. Don't worry if you don't have the most up to date DSLR.. It doesn't matter if you rely on the natural light rather than a couple of softboxes or a ring light. Use the equipment that works for you and you can afford. With any Camera get to grip with the settings. Posts by other bloggers like this one are really helpful. Whether it be general constructive, positive or perhaps even negative feedback. Take note of it and see if you can use it to your advantage. Hopefully there is less of the negativity floating about but something as simple as 'I don't like her blog she posts too much about high end products' could be used in a positive way. Take it on board and vary your content so you cater for people in various financial situations. Not everyone can drop ££ on a pricey lip balm! Set yourself goals. Even if they are mini ones for the day, for example ' Write two blog posts & take the accompanying photographs". Having goals keeps you on track. Not a necessity but it's handy if you know a little bit of HTML. You just need to hit up the google search bar and you will be faced with a multitude of different articles and posts with step by step guides for HTML. It takes some time to get your head around it all, but once you have some basic knowledge you can apply it to your blog. With so many blogs in the blogsphere it's hard to stand out from the crowd. You just have to remember to stay true to yourself and try to throw some individuality into your blog and content. You don't have to blog about the same thing everyone else does. A post that is a little different to the norm will stand out much more than the rest on my bloglovin' feed. Running a blog means you'll learn new skills and essentially become a jack of all trades. Even more so if you venture into Youtube alongside your blog. We write content, Take photographs, Edit photographs. Film, Edit videos, Socialize, Promote, the list is endless. A lot of those points require a bit of research, trial and error before you get it all right. You will learn new skills (which is never a bad thing!) which will apply to both your blog and maybe even life outside it. There will be times when you feel a bit disheartened with your blog. We've all gone through it at some point. You just have to remember if it's something you are really passionate about it then keep at it and power through. Of course you may get to a point where you feel your run as a blogger has come to an end, in which case revert back to letter B and take a break. Re-evaluate and see where you want to head from there. Whether it be how you photograph something, a post topic or maybe blogging in general you've got to love what you are doing or else it can get you down and you will end up hating it. When it comes to content for your blog, if you aren't feeling it it will show through your writing. You might just be sick of writing about beauty and want to focus more on travel. Do it, if it's what you enjoy and want to write about then go ahead and make that change. You've got to love the content you are creating. These tags are embedded into the HTML code of your blog. These cannot be seen to your blog readers but are read by search engines, Like Google, Bing, Yahoo etc. By using Keywords in your meta tags you can ensure that when someone searches for something in particular your blog will be one of the many that pop up. An example for key words would be 'Beauty Blog', 'UK Based', 'Reviews'. Include these in your HTML coding to ensure you are using the search engines to their potential. Find out how to add keywords into your html here. They crop up all over the place when when you blog. Whether it be follower count, your page views, how much something costs or how many comments a post received. At the end of the day try not to worry about the numbers. You blog because you enjoy it! I won't lie I love getting the notification from bloglovin' informing me someone new has followed my blog. However it's not the end if your follower count stays a bit static for a while, or your views fluctuate a bit. There is no point getting yourself worked up about numbers. Try and keep organised. Use apps like Evernote on your phone for lists on the go. Make use of the scheduling option on blogger if you have a bunch of posts written in advance. Heck, surround yourself with a load of pretty notebooks if it means you have some structure to the way you blog. We all know us bloggers cant resist a bit of pretty stationary! I hold my hands up and admit I sometimes forget this, so I am guilty of it. It is a good idea to check through your post before you hit that publish or schedule button. You may have some really silly spelling mistakes in there, or even linked the incorrect product. Ask questions. As bloggers we are a community, use that to help you blog. Want to know how someone gets a certain effect on their photos? Send them a tweet and ask. Unsure about a blog post you have just composed? Send the preview to a blogger pal & ask for their thoughts. If you don't ask you will never know the answer! Part of blogging is about building relationships with a mix of people. If you have agreed on a date for a post to go live stick to it. If there is a problem, let the PR know. You want to keep a good relationship with PR's and marketing teams in order to secure future collaborations. Keep on top of your correspondence. Building relationships with other bloggers is key too. Remember to comment on each other blogs, be supportive of one another. I've made some great friends through blogging, one of the few perks of having a blog. I touched on this briefly before but scheduling is your friend if other life commitments take priority over blogging. Like I said the scheduling option on blogger is great for planning posts in advance. Along with using something like Tweetdeck or Hootsuite to plan your tweets/posts to your blogs facebook page. It's amazing how much of a weight is lifted off your shoulders when you know posts are scheduled and ready to go. Personally I feel it's good to be completely honest on your blog to gain the trust of your readers. This can apply to a number of different aspects of blogging from disclosures for content and products, to gaining the trust of brands you work with or PR's you email. Once that trust is there it can open the door to many opportunities. Remember back in the day when you created your first email address & it was mega cringey? (Guilty "Kute and Kuddly") You don't want that to happen with your blog URL. Keep it relevant, keep it simple if you can. It doesn't cost the earth to nab yourself a .com/.net/.co.uk URL. Use sites like GoDaddy to find something that suits you. - Obviously if you want to keep the .blogpost.com then that is also fine! As a blogger no matter what your niche is, you will have ideas floating around your head ALL THE TIME. It's no good having those ideas just in your head. Visualize and plan them. 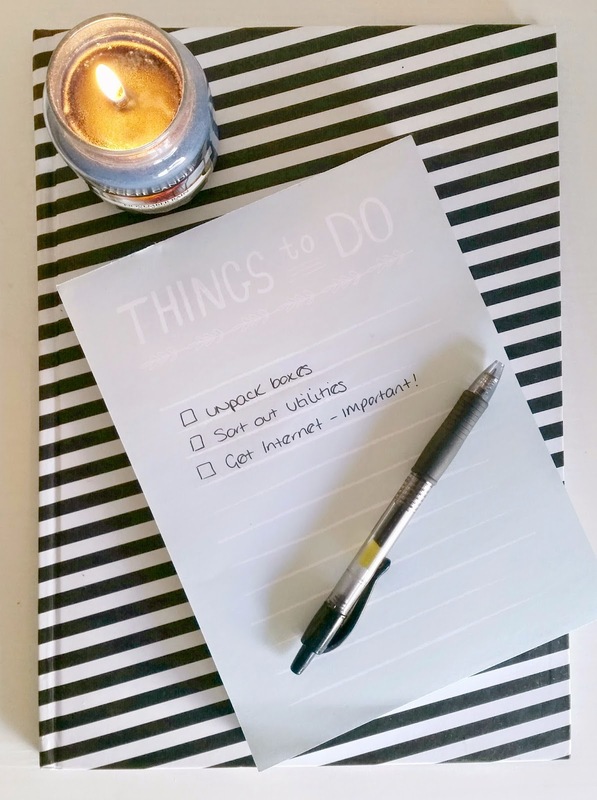 Buy yourself a specific 'Blogging Notebook' and write those ideas down. I personally find it much easier to plan when I've got a visual. A lot of time and effort goes into running a blog so be sure to have a manageable work load. Especially as it is a hobby (for most) at the end of the day & you don't want to get yourself stressed. Know when to say no to certain opportunities if you already have too much on your plate. Prioritize and plan your current bulk of things to do before adding even more into the mix. It seems the natural progression for some bloggers is to start a Youtube channel. I've seen many bloggers succeed in doing so. If it's something you've thought about doing then go for it. There's a whole new audience out there ready to hit that subscribe button. Youtube is a good way to gain new traffic and readers to your blog. Quite often when I find a new Youtuber I have a look to see if they run a blog too! A bit of a random one, but I am probably not alone when I say I have stayed up late in order to get a blog post finished. 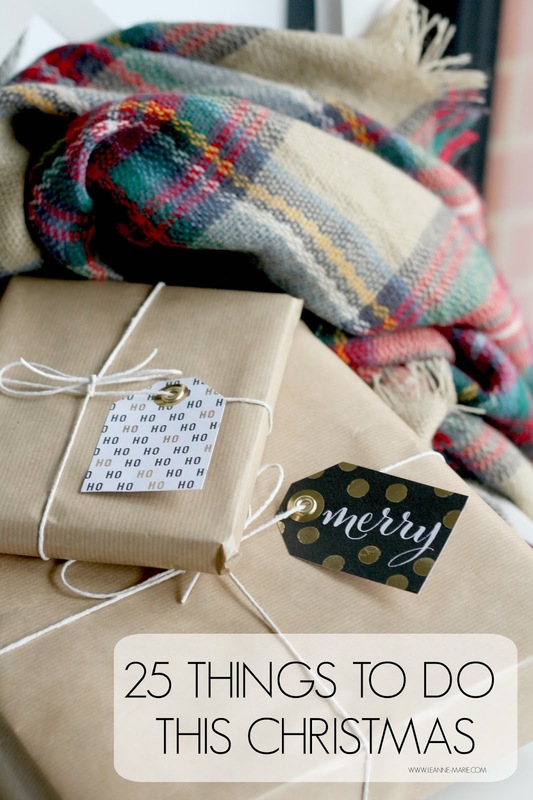 Sometimes you can have a bit of bloggers block, or a particular task is getting you a bit stressed out. Stop what you are doing, Go to bed and sleep on it. Chances are you will wake up the following morning refreshed and ready to finish that post! What's in my new Zara Handbag? Ah! 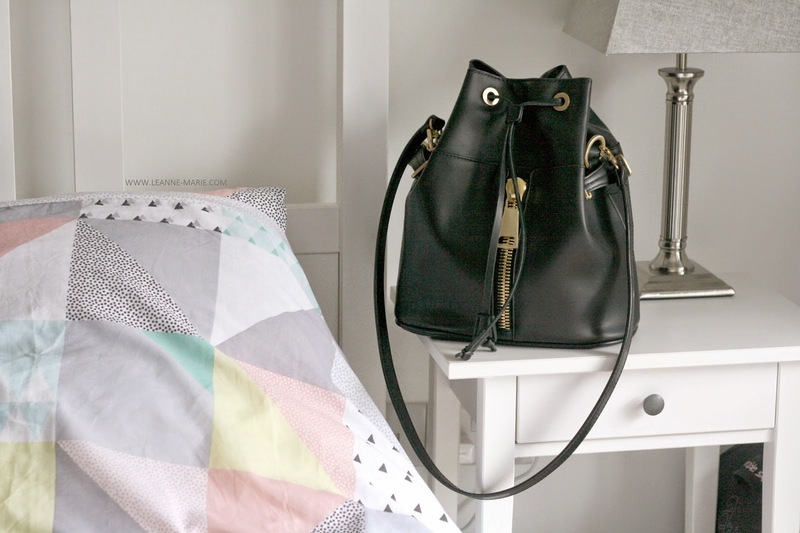 The post that everyone who is nosey (or has a passion for handbags) loves. 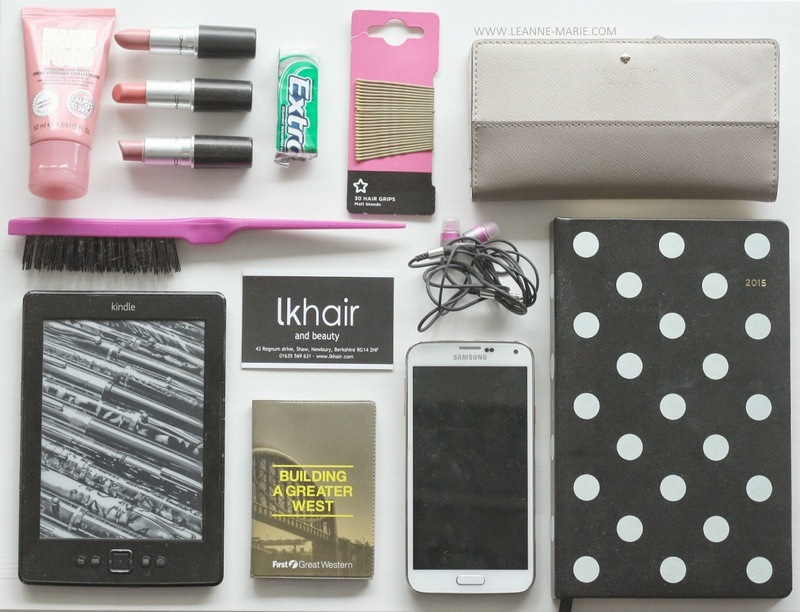 The classic “What is in my handbag” blog post. Well it has been a while since I myself did one of these, so I thought it was only fair to share with you the contents of my new bucket bag. I’ll be honest I really didn’t like bucket handbags at first, but let me tell you.. they grew on me the more I saw them and as a bonus you can fit a lot of things in this style of bag! This particular one is from Zara, however I am about 5 months too late as it is no longer on the website. I actually bought this from Depop. The story goes like this.. Browsing Pinterest one evening (as you do) I see this pin… I automatically assume it is Zara (I was correct) and start the hunt like a crazy woman… I eventually find someone on Depop selling it virtually brand new, so I snap it up straight away! Don’t fret though. Zara along with other brands have a good selection of bucket bags available at the moment so I am sure you can find one to fit your needs if you have a browse! Like I said you can fit a lot into this handbag, even with all this I had plenty of room to add a few more things in if I wanted. Starting with the staples we have my Kate Spade purse I purchased when I was in New York last year (That 25% off everything discount just drew me in!) 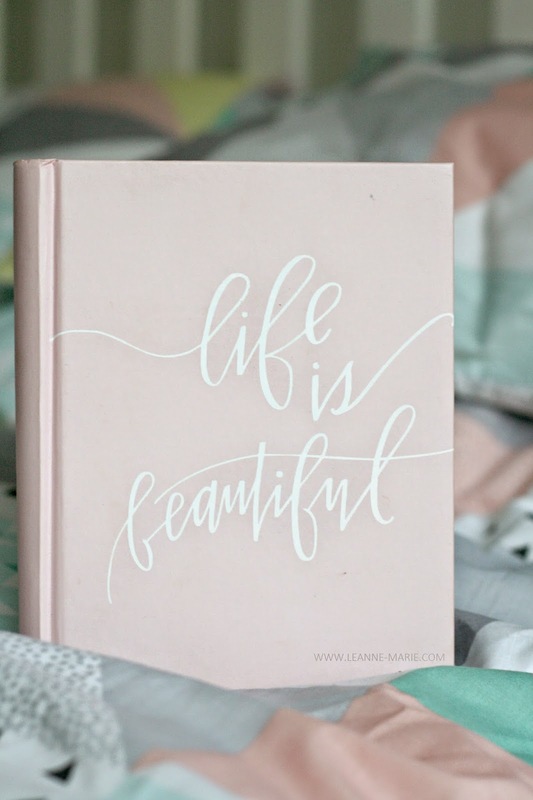 along with my Kate Spade 2015 diary. My new phone, a Samsung Galaxy S5 – Forever loyal to ol’ Samsung! I do need to get a case for it as I am prone to dropping phones! So if you know of any cute ones let me know in the comments! As I said in my ‘back to blogging post’ I now have a little bit of a commute to work, therefore I have my railcard (also need a cute case for this too), headphones for music and my Kindle. I am currently reading ‘Sharp Objects’ by Gillian Flynn. I am only a couple of chapters in so I couldn’t say if I would recommend it or not yet. I’ve become a bit of a bookworm since commuting to work, So if there are any you recommend do leave their titles down in the comments! Beauty wise I have a Denman backcombing brush – although I tend to use this as a normal brush! Some bobby pins, S&G hand cream, and 3 MAC lipsticks. I’m sure I am not the only one who just whips a new lipstick out of the draw and throws it into their handbag? The 3 I have on rotation at the moment are ‘Angel’, ‘Crème Cup’ and ‘Cut a Caper’. All fairly similar but all definitely different. I also have the business card for the place I go to get my hair done. I had my highlights re done on Saturday after about 6 months (please don’t judge) so I had some serious roots going on! They stylist I use is Katy and if you are local to Newbury you can check out their website here! Oh and there’s some gum. Spearmint is my fave. So there you have it. What I currently carry around with me in this bag. I did miss one thing out and it is this amazing shopping bag from Waldo Pancake. Isn't it just great! Both my Mum and Tom bought me it for Christmas so I have two! So many people stop me while walking out of the supermarket and ask where it is from! Like I Said previously there are a lot of bucket style bags available at the moment so I thought I’d put a selection together for you in case this post has tempted you to get one yourself! New In : London Retro Ohara glasses. You all know I wear glasses & I like to keep to a similar style each time I get myself a new pair. I’m a creature of habit so I always gravitate towards the same sort of frame. When I was asked if I wanted to try a new pair from London Retro Glasses I instantly headed towards the Restrospektiv collection to have a look at what was on offer. I decided to go for the Ohara frames, which I know are extremely similar to my previous pair. However the frame is slightly more cat eye in shape, making them a little more feminine. I actually think my previous frames from London Retro were unisex frames so they were a lot more rectangular. So if you want to get all technical in the end I have gone for something different! – Well that’s what I tell myself anyway! It’s crazy how much of a selection you have to choose from when it comes to getting yourself a pair of designer glasses though. It can sometimes be a bit of a challenge to narrow it down. On this particular website, you have a whole range of styles to choose from. Realistically I should probably be a little braver and try out some new styles.. or least venture away from the classic black frame. Maybe I should give tortoise shell a go next time, or maybe even colourful ones, try a new shape? This is the problem I have, there’s always so many type to choose from I panic and just stick with a classic as I know they suit me best. But what If I do want to be a bit daring and venture away from the norm? 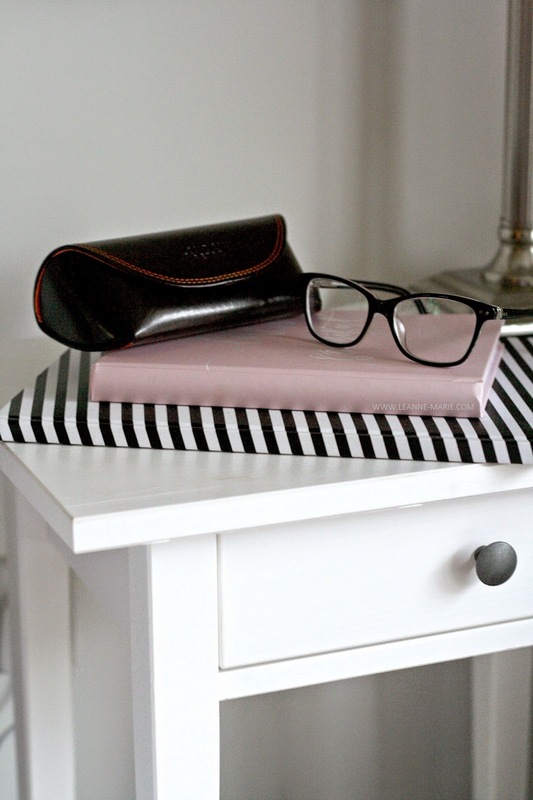 Fortunately Glasses Direct offer a new free home trial service on their website. If I can’t decide on a specific pair next time I’m glasses shopping, I can select 4 different frames and try them out before I commit to purchasing them. It could be something minor like trying the same frame in the alternative colour options, or trialling 4 different styles to see if I would suit something different. Tom is actually looking to get some new glasses and struggles trying to find a frame size/shape that suits. We have spent a fair bit of time in the shops trying to decide on what to buy. He still hasn’t got himself a new pair so I suggested trying out this 7 day home trial service instead. It doesn’t even cost you to send the trial box back once you have decided (yay I love free postage!) I might even pop a review up on the blog if he decides to go ahead with the trial, I know sometimes people can be a bit apprehensive about things like this! 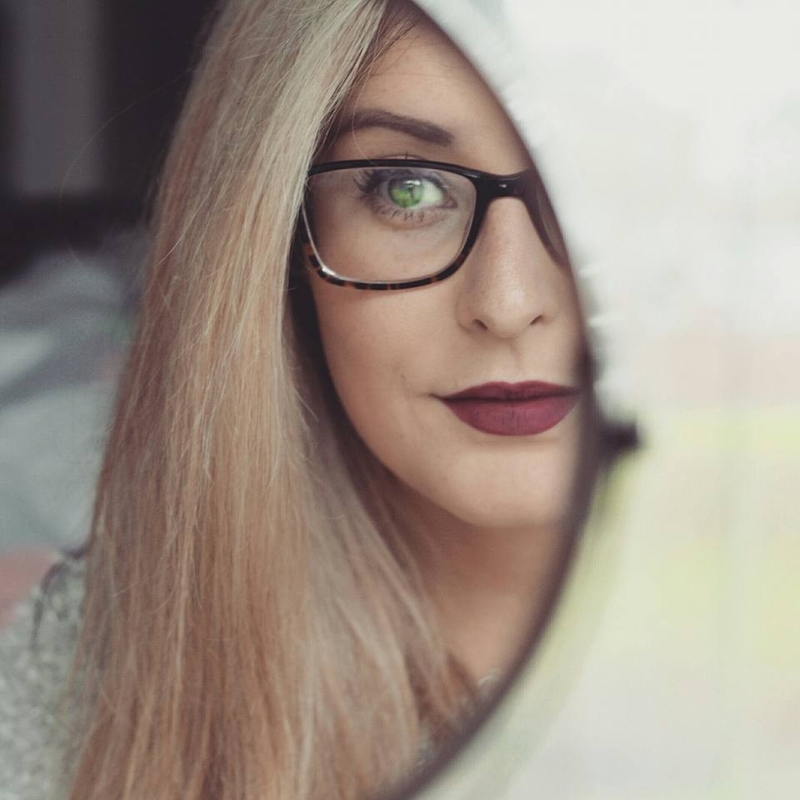 Do you find shopping for glasses hard? How do you like the sound of the home trial service they are offering? You be surprised to hear that I'm not that big on clothes shopping. In fact it really stresses me out. I know I am not alone when I say sizing in different shops causes me upset and stress more than it really should. Why cant a size 12 be the same in every shop rather than making me size up 2 sizes (H&M I'm looking at you!) With comments like 'Oh you are wearing black again today' being a common occurrence, I figured it's about time I put some color into my wardrobe. Have you been lusting after anything from ASOS recently? 1. You own a lot of stuff. On reflection you don't need the majority of it, but you'll keep it anyway. 2. There were good intentions to pack everything in an organised manner, but somewhere along the line things might get a bit mixed up. My shoes were not meant to be packed in the Kitchen box! 3. Moving is a workout. Lifting boxes. Running up & down flights of stairs, being on your feet 24/7. You do work up a sweat. You will ache the next day. 4. Things will get lost. No matter how well you pack everything up, you will mislay something. Usually you'll find it hours after you needed it...or maybe don't ever find it! 6. Some boxes will never be unpacked.. You'll just conveniently put them in a cupboard and forget about them. 8.. You can live without the internet for a few weeks. At first you feel really disconnected (Especially if you have used all your mobile data too) but after a while you get used to it. Sometimes it's nice to have a break from it all. 9. Friends & family make the process a whole lot easier. Whether they moved boxes, put together furniture, provided refreshments. You will be thankful for them all being there. 10. You vow never to move again...well not for a few years anyway. Without fail my go to brand for some casual kicks would be a good pair of converse. I have a few pairs and this low top navy pair* from Get the Label are a recent addition to my shoe collection. As the weather is getting a bit milder, I've been sporting these over my Uggs on a more regular basis. Tom and I are both big fans of the brand, with the two of us slowly building up quite a collection of styles! 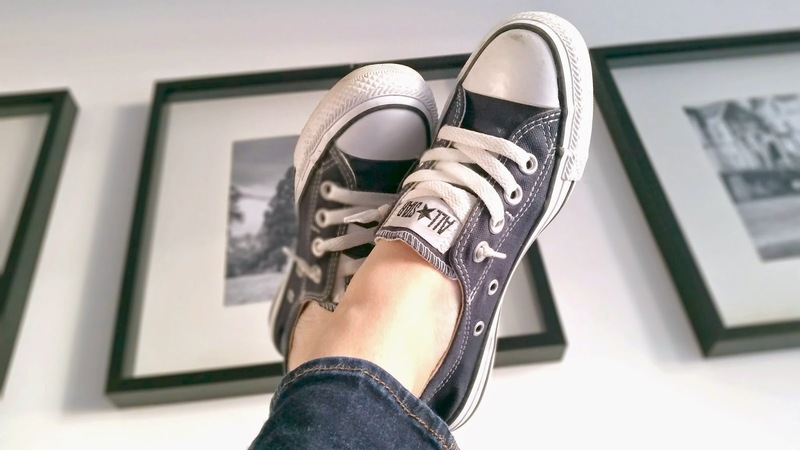 Trainers by Converse are the ultimate comfort shoe, the perfect compliment to your Topshop Leigh jeans. A great way to make a more fancy dress a bit more casual. Heck some people even choose to wear them on their wedding day, and why not? They come in such a wide variety of colours, styles and fabrics you are bound to find a style that works with your wardrobe or for whatever occasion. Like I said these particular converse came from a website called ‘Get the Label’. This is an online shop chock full of brands at discounted prices. You can get as much as 75% off some of their items which is pretty good. Stocking a range of brands from AX Paris to Ugg Australia. You are quite spoilt for choice! This is the first time I have worn the low top style of converse and to be honest I may be converted. I love how the laces fit perfectly so there is no need to tie them up in a bow. You’d think that this would result in the shoe being quite loose fitting but it’s actually the complete opposite. They feel so tight and snug on my feet. I also feel they are more feminine looking, so when the weather warms a bit I can pair them with dresses without looking too chunky. Looking on the Get the Label website at the moment I can see they have a lot of different styles and colour combinations in stock. There are some lovely pastel kicks available which would be perfect now we are coming into spring (Sort of - Well it is March! ), or you could stick to a classic navy pair like I have. Have you shopped on Get the Label before? So let’s just go ahead and state the obvious, I haven’t been active on the blog or any social media really in the past few months but that’s okay because sometimes you just need a break. Believe me, I didn't intend for this to happen, or to go on for as long as it has. Life really did just get in the way. To summarize; I went on holiday in September, I returned from said holiday to be informed I no longer had a job. GREAT! Therefore Job hunting took priority over Blogging. Tom and I then moved into our new home. Buying a new build doesn't mean everything is sorted and you can just move in unfortunately. You do encounter problems and they can take a while to get sorted. Internet connections can’t happen overnight and you have to wait for engineers etc so in this case Sorting out our new home took priority over blogging. Finally, I am pleased to say that I did manage to get myself a new job after being made redundant, however it’s not in the town I live. Therefore I now have to commute, meaning I leave earlier and come home later each day, which eats into my ‘down time’, where if I am honest most of the time, I just want to chill on the sofa & watch Netflix! Fast forward a few weeks months and my blogging mojo is finally back. It has been strange being out of the blogging loop, but I am back and I am ready to start creating content again. You may notice a couple of changes. Firstly I changed my blog design slightly. Still quite minimal but I really like the added polkadots along my header. I have had a bit of a mare with my commenting system too. I've said Goodbye to Disqus and hello to the regular blogger commenting format. (Coding and HTML are not my forte!) Something I was a bit reluctant to do but, it was delaying my 'comeback' having to mess around with the html so I've just settled with the basics! So, hello again I guess! Sorry for being away so long!